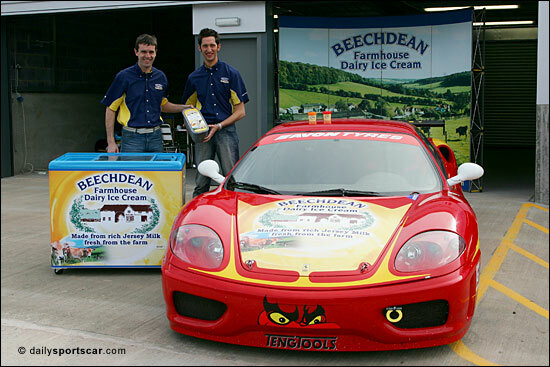 Friday (March 31) saw not only the unveiling of the new, vastly improved, Donington Park pits complex, but also, at the same location, the first sight of Andrew Howard's Beechdean Ferrari 360 - to be raced in the Avon Tyres British GT Championship, by Nigel Greensall and Jonathan Coleman. 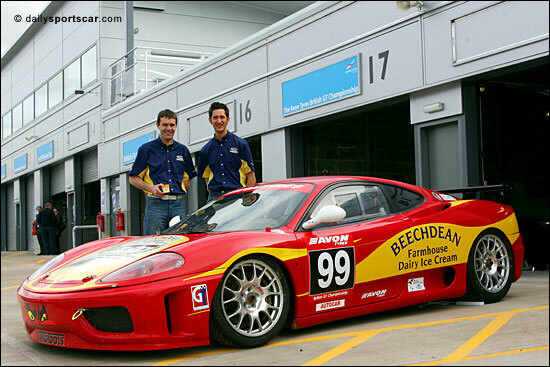 "We haven't got the gearbox in the Ferrari yet," explains Nigel Greensall, "but we borrowed a 328 from David Haigh, and Jono and I gave some passenger rides around the circuit. "Although I've never raced a Ferrari, I've driven loads of them - so I was going fairly quickly." 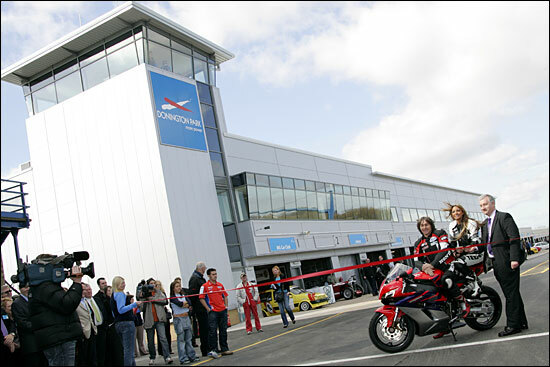 "Friday was a really big event - with the launch of the new pits," continues Greensall, "and there was lots going on at the track - and we gave away lots of ice creams!" 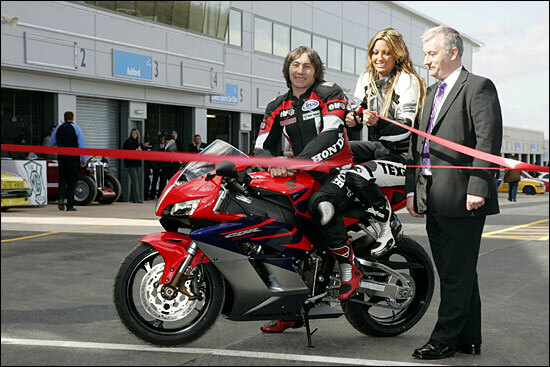 Jodie Marsh (a glamour model and media personality - Big Brother) and 'Rocket' Ron Haslam helped circuit MD Brian Pallett open the new pits complex. Notice the step before each pair of garages (painted with yellow lines) to the right of the Ferrari - particularly in the second image. It looks rather steep, for cars coming in to re-fuel.